So, you now officially belong to the frequent flyers? Then we have something for you! 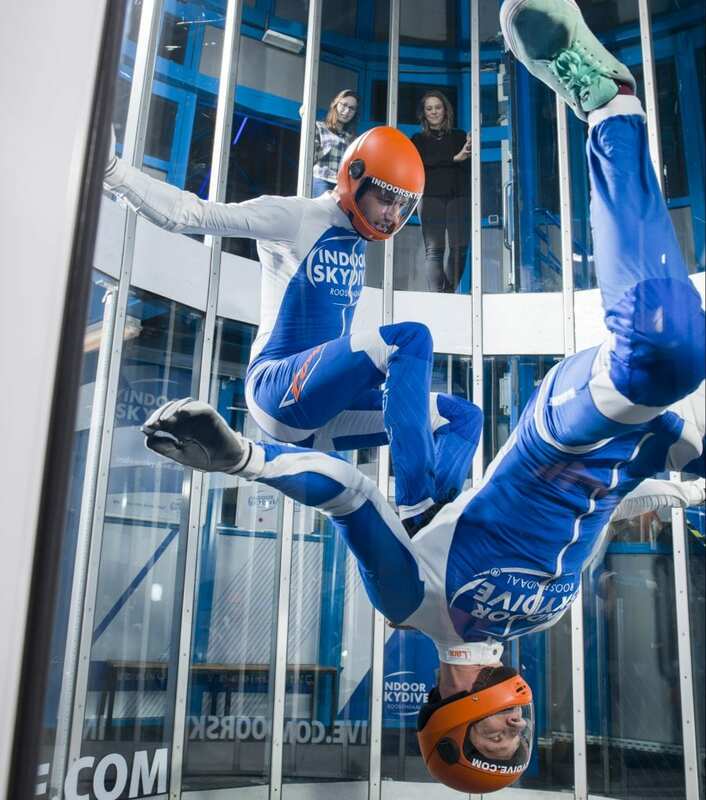 Take advantage of our special rates for indoor skydivers. Come fly with us! 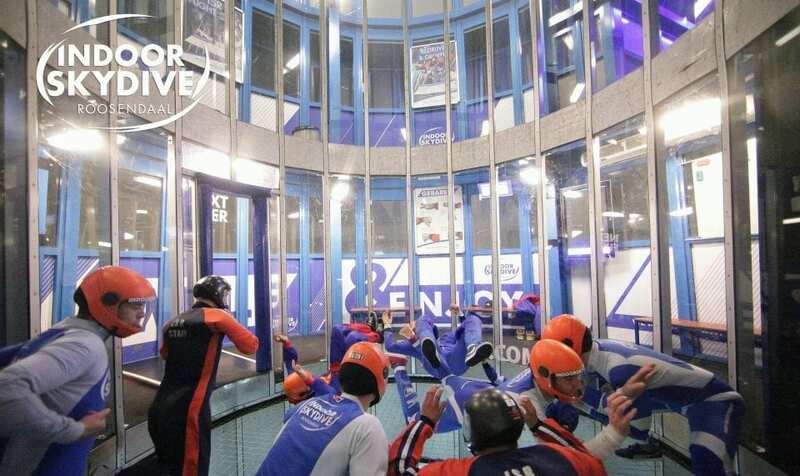 Indoor Skydive Roosendaal offers skydivers the unique place to train. Nowhere else in the Netherlands you’ll find a tunnel like in Roosendaal. Equipped with all the conveniences, such as a teamroom, creeperrooms and a debrief monitor in the tunnel. Because you know how to dive, purely on the strength of the wind, we often handle frequent flyer rates. You do’nt have to learn the basics anymore! Therefore, it’s good to take several minutes at a time. And get more advantage of course! We work with peak and off-peak times, which are shown for the above rates. Off-peak: all other days and times are off-peak, except christmas-holidays. Rotation is not guaranteed, please ask at reception. Reserved times are confirmed only one week prior to arrival. This is to offer the best possible planning. It is therefore possible that your times are adjusted, of course, in consultation. As you are used to us.